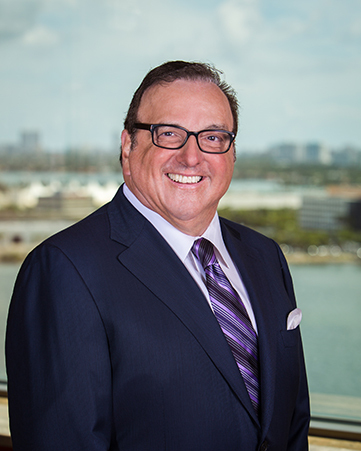 Arthur J. Furia is a partner in the Miami office of Shutts & Bowen LLP, where he is a member of the Corporate Practice Group. A Martindale-Hubbell AV® rated attorney, Art has been named to the Best Lawyers in America® since 2008, Florida Super Lawyers since 2006 and recognized by Florida Trend among its “Must Know Contacts in Miami.” Art has over 30 years of experience serving as counsel to a number of prominent Florida-based corporations. He represents clients in corporate and business law; domestic and international business planning; mergers and acquisitions; partnership formation and joint ventures; venture and mezzanine equity raising, and distribution, licensing and corporate governance for not-for-profit organizations. Art is active in the Italian and Italian-American community. He serves as Executive Vice President of Government Relations for the National Italian American Foundation (NIAF) and is a member of its Executive Committee, Bylaws Committee and Audit Committee. He is also the State of Florida representative for the American Chamber of Commerce in Italy (AMCHAM). In June 2008, he was designated “Cavaliere Ufficiale” by the President of the Republic of Italy. He was invested into the Association of Master Knights of the Sovereign Order of Malta since 1992, a world-wide organization with long historical roots dedicated to serve the needs of the world’s sick and poor. He also serves as a member of the Order of Malta’s board of directors in the Florida region. Art has actively organized a number of economic and business trade missions to Italy over the past 25 years and has lectured at various business/trade seminars in Italy. He also assisted in organizing blue ribbon delegations of Florida business and governmental leaders on business and trade development missions led by three Florida Governors dating back to 1988. Art has served on the Board of Directors for the Miami Dade College Foundation since 2002, where he currently serves as Co-Chair of the Development Committee, and is a member of the Board of Governors of the Greater Miami Chamber of Commerce. He taught as an adjunct professor in the graduate law program at the University of Miami School of Law and at St. Thomas University Law School for International Business Transactions. Art is also a member of the board of The John F. Scarpa Center for Law Entrepreneurship at Villanova University Charles Widger School of Law. He was a frequent lecturer in Central America for the Instituto Centroamericano de Administracion de Empresas (INCAE) on legal considerations for doing business in the United States and foreign investment. Art is admitted to practice in Florida and Pennsylvania. Prior to his legal practice, he was a certified public accountant with the international public accounting firm of Ernst & Young in its Philadelphia office.